Contact Lens vs. Visian ICL | What's the Difference? 10.29.2018 Contact Lens vs. Visian ICL | What's the Difference? What is the difference between a contact lens and the Visian ICL? Is the Visian ICL better than contacts or are contacts better than the ICL? Both are something that go into your eyes and help to correct your vision, but what sets them apart? The Visian ICL is an Implantable Collamer® Lens that is made up of a combination of collagen and polymer, which is biocompatible and made of the same material found in your natural eye. It’s placed in between the iris and cornea of your eye to give you clear, crisp vision. By addressing your visual needs, the Visian ICL provides a lens uniquely made for your eyes. Why do some people call Visian ICL an "implantable contact lens"? Commonly called the implantable contact lens, Visian ICL is essentially implanting a thin collamer lens into your eye that does the job of what a contact lens does, with the possibilites of additional benefits. This provides the option of the lens being permanently placed in your eye, with the option of being removed should your vision need further correction. Thus giving the nickname of the implantable contact lens. 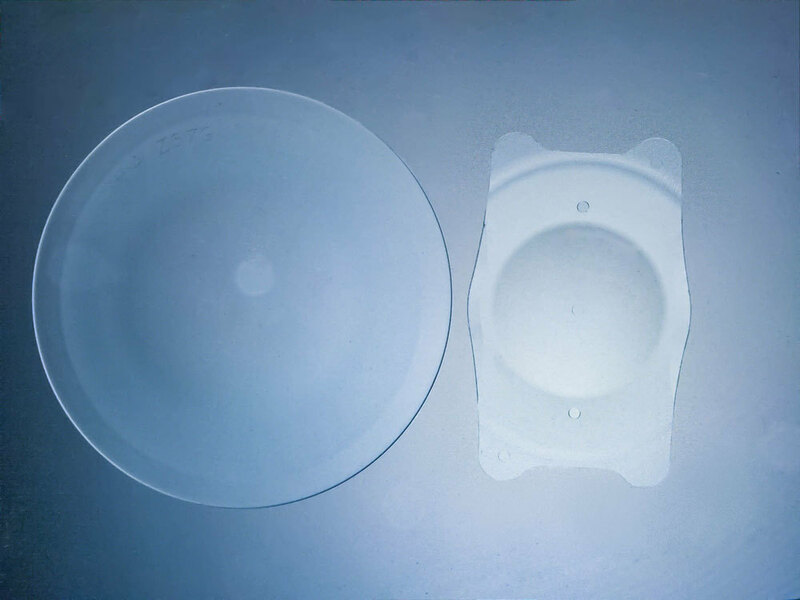 Although some people say the Visian ICL is like an implantable contact lens, the official name of the lens is an Implantable Collamer® Lens, or ICL for short. All these options may make it difficult to choose the best for your eyes without a professional consultation, compared to the Visian ICL that can provide a simple pathway towards improving your vision with one simple procedure. What is the size difference between contact lenses and the Visian ICL lens? They are similar in sizing and both are able to provide clear vision for your visual needs. Do you have to maintain the Visian ICL lens like a contact lens? The answer is no! You don’t have to take them off every day like you do a contact lens. The Visian ICL is a lens that is permanent, yet removable, a benefit over most contact lenses. The procedure usually takes 20-30 minutes and typically only a few checkups are required after getting the Visian ICL procedure. Any additional checkups would be based on your unique needs and doctor recommendations. Should a change in one’s vision occurs, a visit to an ophthalmologist is recommended. Because contact lenses are not implanted into the eye, most require weekly, if not daily care. They are designed to be temporary and removable at will, so some tend to be more susceptible to drying out and/or getting dirty through normal day wear. Contact lens solution should be used to clean out one’s lenses with clean hands to help prevent any risk of eye infections from bacteria. What are the risks of wearing contact lenses compared to the Visian ICL? Contact lenses can pose various dangers ranging from eye infections and possibly inducing blindness. 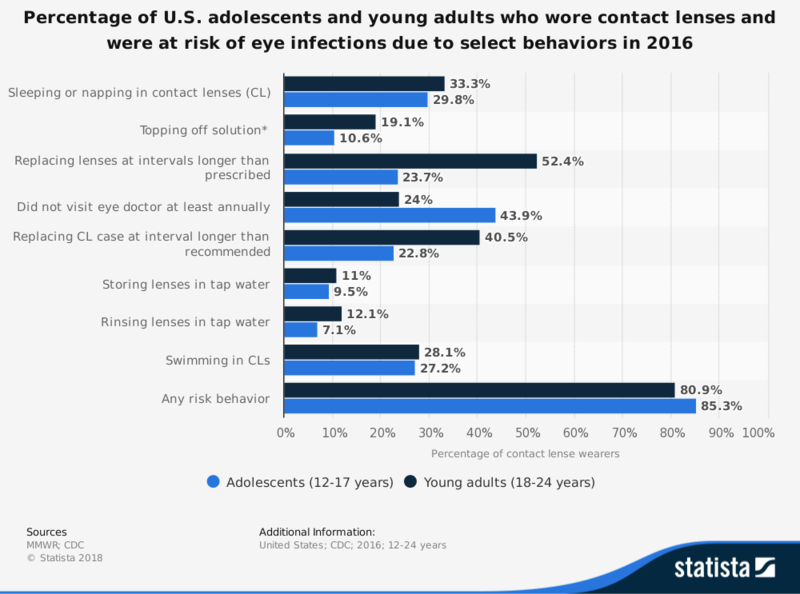 Some problems caused by contact lenses include wearing them longer than recommended or taking them out without washing your hands, transferring bacteria directly into your eyes. In 2016, over 80% of people between 12 - 24 years of age engaged in behavior that put their eye heath at risk. With the Visian ICL, you won’t have to worry about remembering to clean your contacts or swimming with them on! It eliminates that hassle and simply provides you will clear vision. There are many pros and cons of contact lenses, but the main difference for Jennifer Puno was that the Visian ICL was permanent, yet removable. Check out Jennifer’s testimonial on how this procedure changed her life.